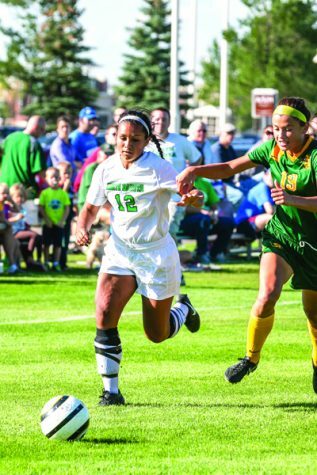 The University of North Dakota Women’s soccer team had their historic run slowed down on Sunday afternoon when they met up with in-state rival North Dakota State University. 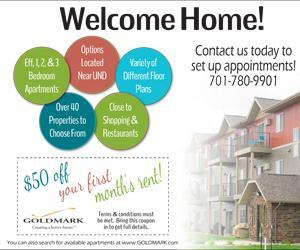 Prior to meeting up with the Bison in East Grand Forks, UND was 8-2-1 overall and 2-0-0 in conference play. 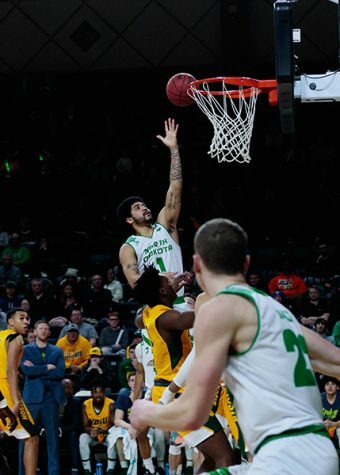 They got off to their incredible start with impressive non-conference wins over Nichols State, Southern University and Idaho. Their defense, led by senior goalkeeper Olivia Swenson, has been nothing short of incredible thus far. During nine non-conference games, they have only given up two total goals. Both of those two goals came in losses. The first coming in a 0-1 loss to Bemidji State, the second in a 0-1 loss to Portland. The spectacular defensive start to the season led to goalkeeper Olivia Swenson being named the Summit League Female Athlete of the Month for September. 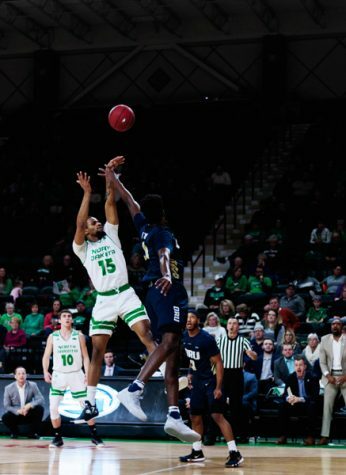 Defense wasn’t the only thing UND had going for them, though. 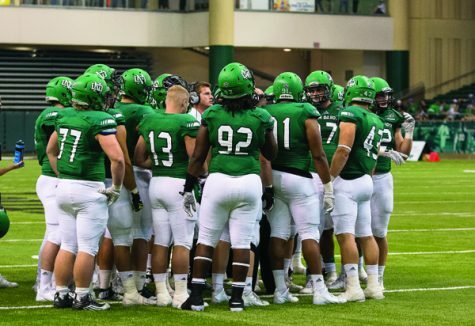 On September 16, the Fighting Hawks traveled to Mississippi to take on Alcorn State. There, they would have a statement victory coming by way of 12-0 win. Midfielder Cassie Giddings contributed with three goals and one assist, while forward Katie Moller pitched in with two goals and three assists of her own. Definitely not a bad start to the 2018 season, but conference play would bring the real tests. 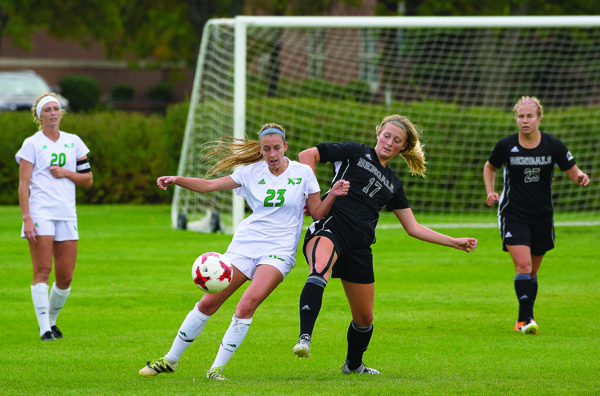 UND started their inaugural Summit League soccer season with a 1-0 victory on the road against Oral Roberts and a 5-0 victory at home against Western Illinois. The amazing start to Summit League play had the Fighting Hawks in third place in the conference standings, but the only team who hadn’t yet allowed a goal. Their goal differential in conference play was a nice +6. The Bison also got off to a pretty nice start in the 2018 conference season. They entered their matchup against UND with a 2-1 record and a +4 goal differential. No matter the sport or the day, whenever UND and NDSU get together, it’s always fun. But there’s no question that it’s more fun when both teams are good. It makes the rivalry and the importance of the game that much better. Both teams were rolling in with some momentum, but only one team would leave feeling victorious. The first half ended with both sides failing to come up with a goal, but it was pretty clear that NDSU was controlling the game. The Bison ended the first half with ten shots, four on goal, and eight corners. The Fighting Hawks, on the other hand, ended the first half with six shots, two on goal, and zero corners. The second half was a completely different story, one full of ups and downs for both sides. UND opened up the scoring with a goal in the 52’ by forward Katie Moller. Then over halfway through the second half the game flipped. NDSU scored two goals in less than three minutes to take a commanding 2-1 lead. The first goal was scored in the 76’ by Hanna Norman and the second goal was scored in the 78’ by Malley O’Brien. Holly Enderle picked up an assist on both goals and Roxy Roemer was also credited with an assist on the second goal. 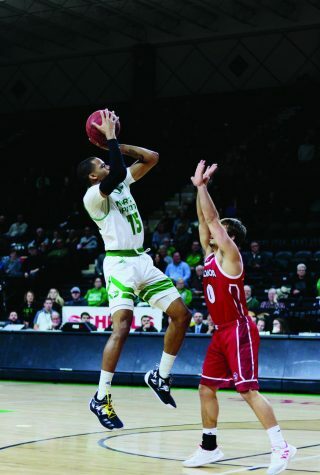 UND did have a chance near the end of the game, but they were unable to convert and regain the lead. UND now has an overall record of 8-3-1 with a conference record of 2-1-0. 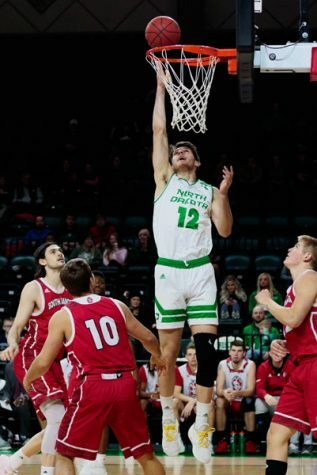 The Fighting Hawks will look to get back on track this week with games on the road against Omaha and Denver.